Momaney Painters has a long history in painting churches with their unique architectural challenges. As with all of our projects, we begin with a thorough survey of the building. 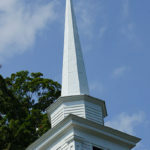 Churches often contain delicate sculptures, stained-glass, various relics/antiques, wooden pews and rails. Maintaining a controlled working environment is essential to preserving these structures. Sometimes decorative painting like gold leafing and various types of molding are needed as well and Momaney Painters is well-equipped to provide this service. While our prices are competitive, we go above and beyond other local painting contractors with the highest quality workmanship; friendly, prompt and reliable service. 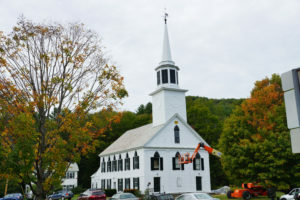 Many local churches have selected us to paint their buildings, not just because we were the lowest bidder, but because we also understand the challenges presented with transforming large structures with unique challenges. In fact, we have painted more local churches (see Our Clients and “Churches” in Our Project Gallery) than any other area paint contractors. As part of our services, we are happy to repair windows, molding, columns, louvers, shutters, finials, pinnacles, crosses, weathervanes, ornamental millwork and more. We are aware that sometimes low or zero-VOC paints might be needed in a place of worship where many different individuals congregate and families leave their children for daycare. And certain buildings might require careful removal of lead-based paint. We are certified in safe lead removal. 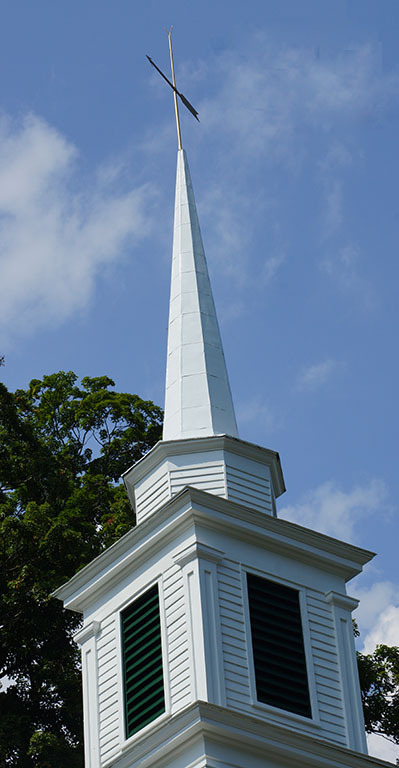 Churches and other places of worship generally have high steeples and spires, which require precise paint application. Our team is well-prepared to deal with these challenges. 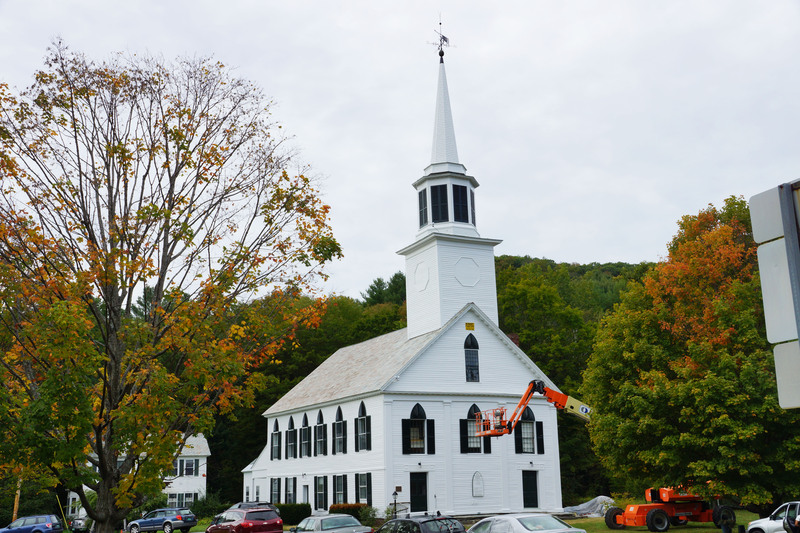 From routine maintenance painting to protecting intricate murals and stained glass, we have the talented, versatile team that can make your house of worship look and feel new again.